When I first thought of visiting Hotel De Glace, an Ice Hotel in Quebec City, I knew I would only do it if I could bring Charlie, my four year old along. At first, I worried about whether she would like it or even make it through the night but decided to jump on the chance. 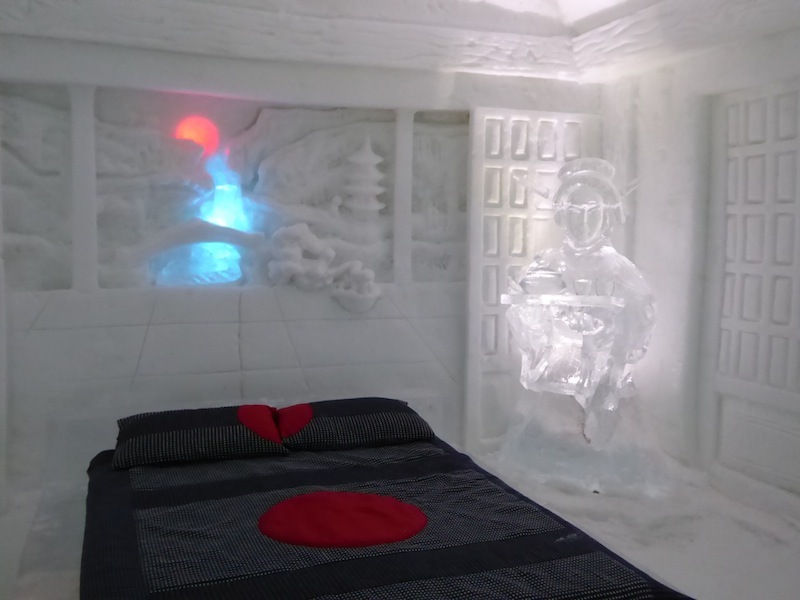 Charlie is obsessed with Frozen and the chance to sleep in the ice hotel in Quebec City could not be missed. Charlie and I checked in to the hotel fully expecting her to be the only child on-site. I mean how many other parents are crazy enough to do this? Even though it was a Monday night and school was back in, the hotel was packed with families. I have to admit I was shocked. I always thought of Charlie as braver than most and I couldn’t believe families actually did this. 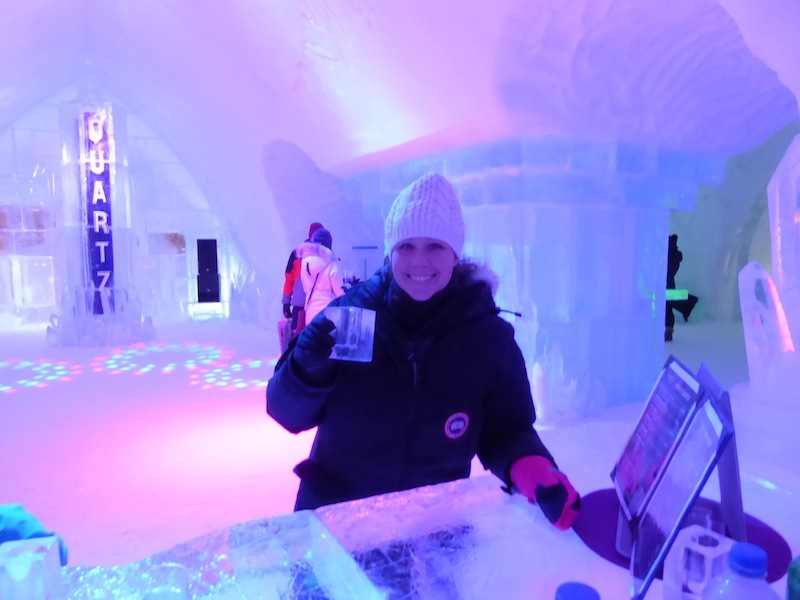 You are allowed to check in at the Ice Hotel in Quebec City anytime after 3:00 pm. DO NOT GO AT 3:00 pm. 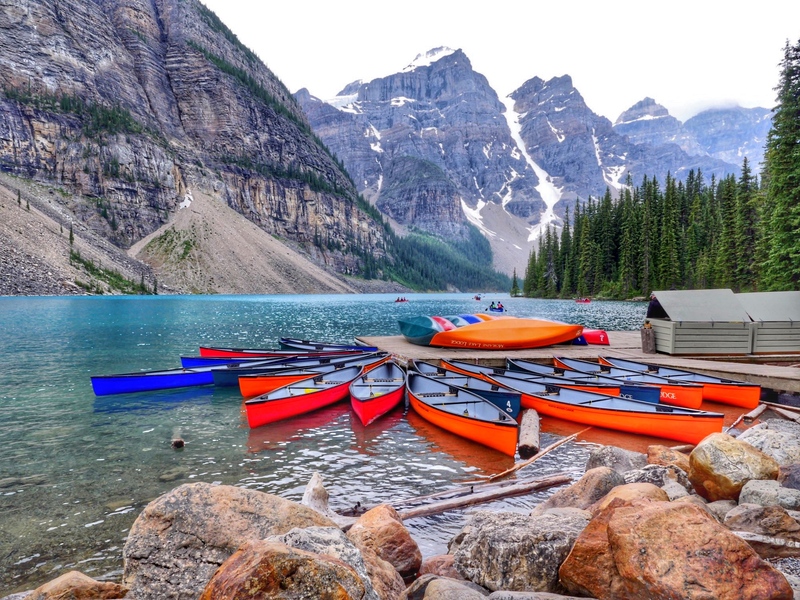 Firstly, although its super fun and there are things to do onsite, you will find quite a bit of downtime. Instead, feed your kids a good dinner, pack a few snacks as there is no food on-site from 6:00 pm until breakfast, and make sure they are well rested. Check-in is a very quick process and you can check-in at any time. You are required to attend a training session before you head to bed. Do not skip this session and make sure you bring your kids to it. Ours was at 7:00 pm and entirely done in English. We learned how to get into our sleeping bags, what clothes not to wear to bed and all our questions were answered. The training sessions were done in small groups so even though the hotel was full, it was just us and another family. 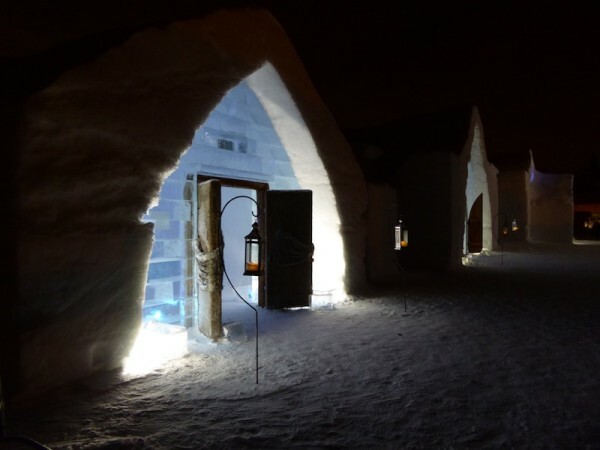 What is There to Do at the Ice Hotel in Quebec City? This is where I was blown away. I expected this to be an adult orientated experience with a lot of drinking going on. I did not go on a press trip and was not booked in with other writers, so I can tell you my experience of a family atmosphere was a very authentic one. It was suggested we meet in the Ice Bar at around 8:00 pm where anyone who wanted to was invited to join in some “ice breaker” games. I grabbed a glass of wine and played along with Charlie but soon the kids took over charades and were having so much fun that the parents bowed out to chat at the bar. Next, Charlie entered a treasure hunt with a group of other kids and was running around the hotel looking for objects for quite a while. After that, we were all invited to try our hand at ice carving. 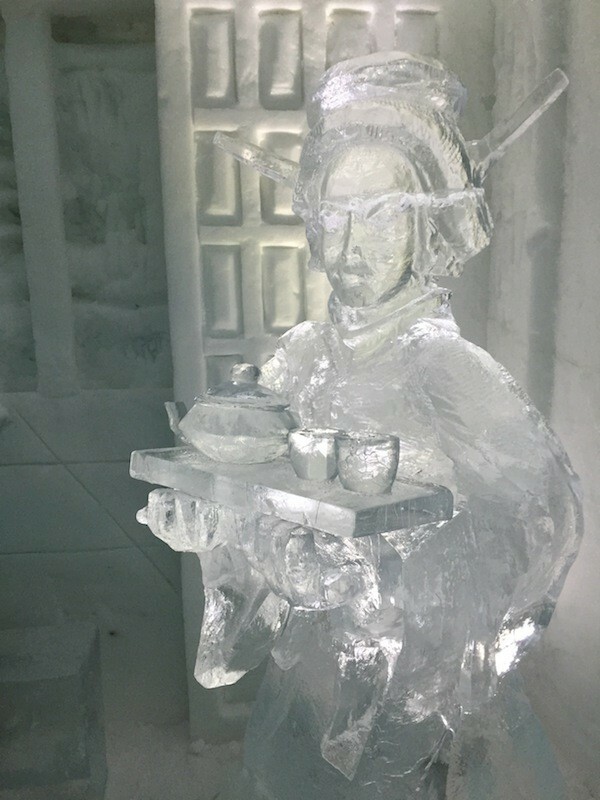 The ice carving is not only super fun but helps you and your kids appreciate the pure talent that goes into constructing the Hotel de Glace. After the family fun, Charlie and I were first to head to get our bathing suits on. 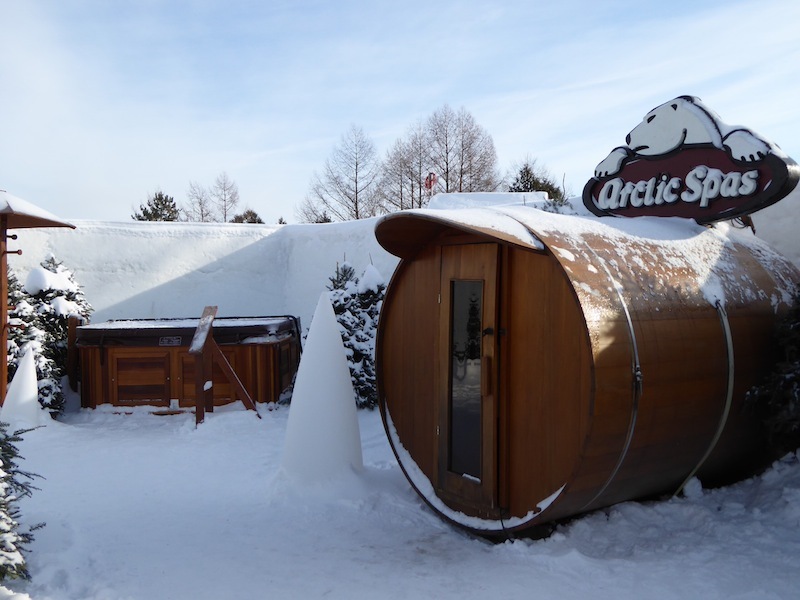 The ice hotel in Quebec City has an incredible outdoor section of Arctic Spas, Canadian made hot tubs and saunas. I loved the polar bear theme of the hot tub and we truly enjoyed sitting and chatting the night away. After the hot tub, we headed inside to properly dry out and put on our pyjamas. Other than these activities, there is an incredibly fun ice course on site for sliding where two racers head down the hill at once. Charlie and I spent over an hour on the course the next morning. On site there is also snowshoeing. The hotel will also help arrange cross-country skiing and dog sledding nearby. Once we were ready for bed, we had had enough fun and I had enough wine that I had calmed down about my nervousness. We headed to bed and I prepped Charlie first. We changed her socks to dry ones, unrolled her sleeping bag and as I put her to bed she immediately fell asleep. Next, it was my turn and by the firelight of the room, I wrapped myself up, got in the sleeping bag and quickly drifted off to sleep. There is a light switch on the bed that turns off the decorative lights and you are provided with bedside candles. I woke up a few times during the night, readjusted the sleeping bag liner to warm my nose and made sure Charlie was okay. She didn’t wake up until 8:30 am at which point she sat up and exclaimed “that wasn’t cold at all”. It’s not warm. Let’s start there. The temperature outside of the hotel was -27 or -35 if you count the windchill. The temperature inside the room was about -5. The walls of the hotel seriously cut down on the cold and you are blocked entirely from the wind. The sleeping bags work by capturing your body heat and using that to warm you. Its really cool technology and made me believe even more in North Face, a brand I wear quite a bit when I travel. Was it the most comfortable sleep of my life? No but really it wasn’t bad at all. The novelty of the experience is definitely worth the chill and you are warm enough to easily make it through the night. That being said, we did indulge in another hot tub before breakfast to warm our bodies up a little bit more. 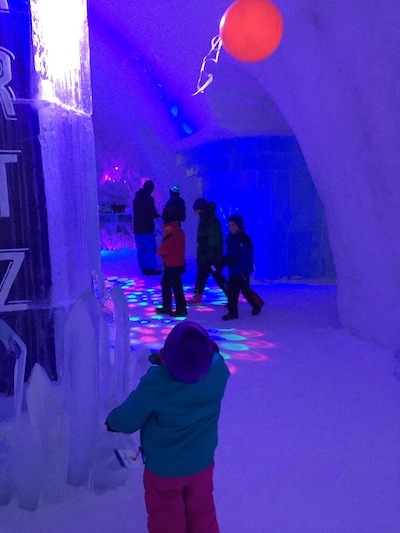 Is the Ice Hotel in Quebec City Actually Good for Kids? I found it amazing for kids. Charlie made 5 friends who played balloon volleyball with her, danced and laughed with her and raced her on the ice slide. She wouldn’t leave the hotel without going to say goodbye to our room and taking one more picture. I arrived at the airport thinking our time in Quebec City had been one of the most enjoyable experiences we had share together. She loved talking about Elsa’s castle and comparing it to the hotel. It was great to watch her try and carve a unicorn out of a block of ice. Most importantly, I’ll be able keep the image of her rosy smiling cheeks with me for a long time. 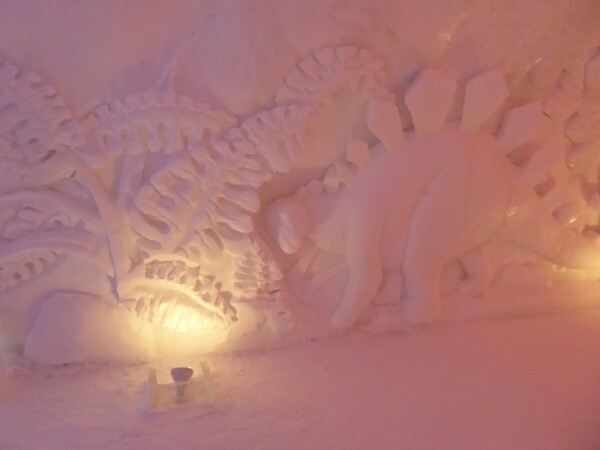 Check out this video of our time at the Ice Hotel in Quebec City. 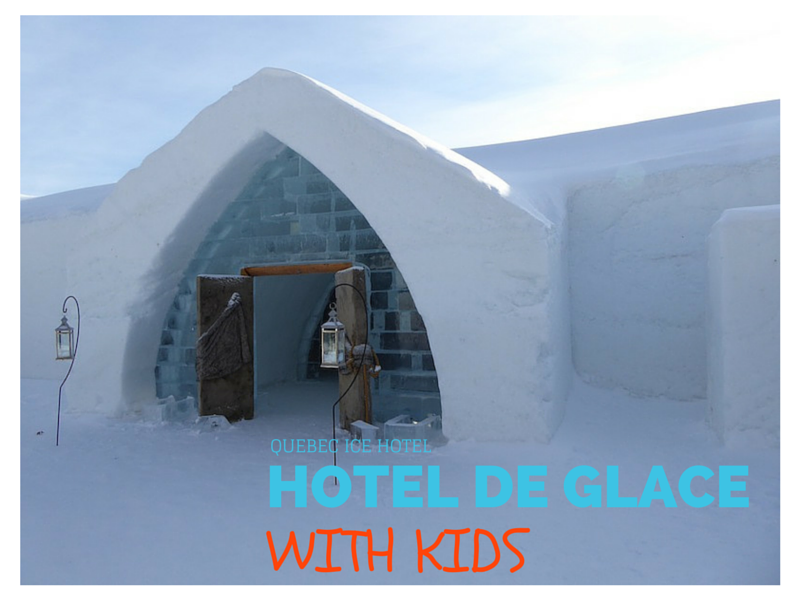 Would you try the ice hotel in Quebec City with your kids? Trust me, you’ll love it too. As always feel free to comment here or email me if you have questions. This sounds so awesome! They were making the hotel when I was in the area beginning of December but the finished product is incredible. I’m glad Charlie had such a great time on her Frozen adventure! Wow, this looks awesome! I’ve heard about a few of these ice hotels now and have always wanted to stay in one. I guess the novelty and uniqueness of the experience (something I always look for) more than makes up for any mild discomfort? Fun! But I gotta say, I’m not sure I’d enjoy sleeping around ice. I HATE being cold haha. Wow. This is so CRAZY!! I mean, crazy awesome! What an experience to give your children. I’ll bet they’ll remember this one forever. OMG I LOVE THIS! I never would’ve thought it to be a family spot either. So glad you were able to take Charlie there. You are so inspiring. I’m sure you eased a lot of moms on this one. Great find! What fabulous information! I am so inspired to go, I have wanted to for ages now! Looks like fun. Until I read “-5” temperature….argh! I can’t believe I missed this! I just spent almost a week in Quebec (just my husband and I) and there was SO much we wanted to do! Even though this was on our list of things to do/see we didn’t get around to it!!! Oh well, next time! It looks so cool though! I have always wondered about the whole experience of sleeping at an ice hotel and this was so interesting and informative. My kids are dying to sleep in one so it’s great to know it’s kid-friendly too. What a great experience for the both of you. I’m not a fan of cold anything and the thought of -5 just gave me goosebumps but this would be so fun to do. Love the video! Sarah – it looks great! We definitely want to visit after reading your blog. How awesome that you guys were brave enough to stay and I’m so glad you had a good time and a great family experience. We toured it recently and it was -5 when we were there and my daughter was like no way do I want to sleep here! She is cold at home under about 5 blankets. Ah thanks! I was proud of us. Its truly a really great experience to spend a night there. So glad you had a fantastic experience. I stayed at the ice village in Montreal a few years ago and loved it! It offered the same features you mentioned, but I felt it was more of an adult scene. There were a few families with kids around 10-12. There were private heated washrooms, and communal showers. Definitely a cold night but warm in the sleeping bag, very similar to the temps you had. I booked a package with a hotel for the next day, which meant checking in after 8am breakfast. It was perfect to clean up and warm up after a chilly night :). Thanks for sharing your review, I might check it out in a year or two. This looks so fun! I’m amazed they can still make it happen, given how mild our winter has been here in Toronto! It’s surprising this year for sure. The temps are dropping to about -15 there at night. They do rebuilt the hotel every few weeks and move it a few feet over. Which is also quite impressive.